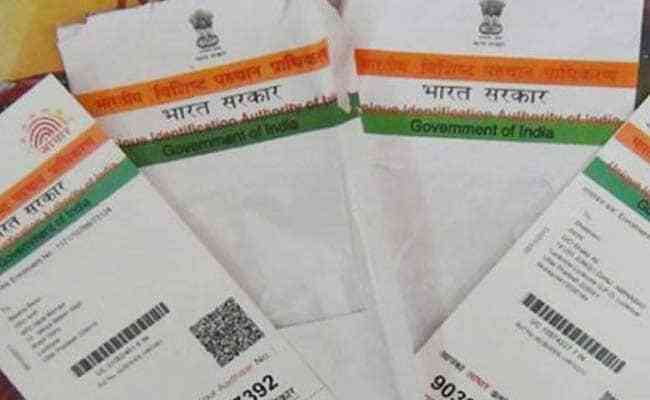 New Delhi: The Centre today revoked an order issued by the UGC asking universities to make Aadhar details of PhD scholars public, saying publishing and displaying the unique identification number is prohibited. The decision comes amid concerns from various quarters that the data could be misused and making Aadhaar details public will make "economic profiling" of PhD scholars easy. "It is informed that the Aadhaar (Targeted Delivery of Financial and Other Subsidies, Benefits and Services) Act, 2016 prohibits publishing and displaying the Aadhaar number publicly. "Therefore, you are requested not to publish or display the Aadhaar number of the scholars publicly," UGC Secretary JS Sandhu said in a communication to varsities sent today. The University Grants Commission (UGC) had on March 10 asked all universities to upload the details of PhD scholars on their websites in a proforma prescribed by it. The details sought in the proforma included PhD registration number, details of supervisor, funding agency (if any), topic of research and Aadhaar number. Last year, the Centre had made it mandatory for the students to submit their Aadhaar number for grant of all scholarships, including fellowships for higher education. On an instruction from the HRD Ministry, UGC had directed the vice-chancellors of all universities to collect and send to it Aadhaar number of the students getting scholarship or fellowship under various schemes and also upload "all information" about their students on their respective websites.